Go Beyond Room Pressure with Setra FLEX! 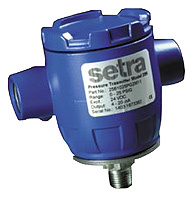 Walker Industrial: Home > About Walker Industrial > Promotional Emails > Go Beyond Room Pressure with Setra FLEX! 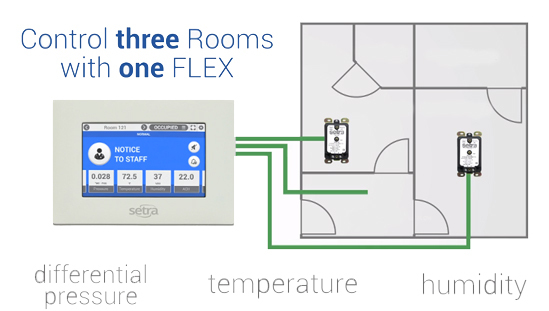 Setra FLEX provides a flexible room environmental control and monitoring solution in a very simple to use package allowing you to monitor and control pressures, temperature, humidity, and air changes. Easy setup: Out-of-the-box ready to configure at the job site, no programming or training is required for setup. Usability: Monitor and control up to 3 spaces/rooms with 6 parameters per each room with a 7" Touch Screen. Room Pressure Monitoring: Can measure low differntial pressure in critical applications, or can provide a flexible room environment control.